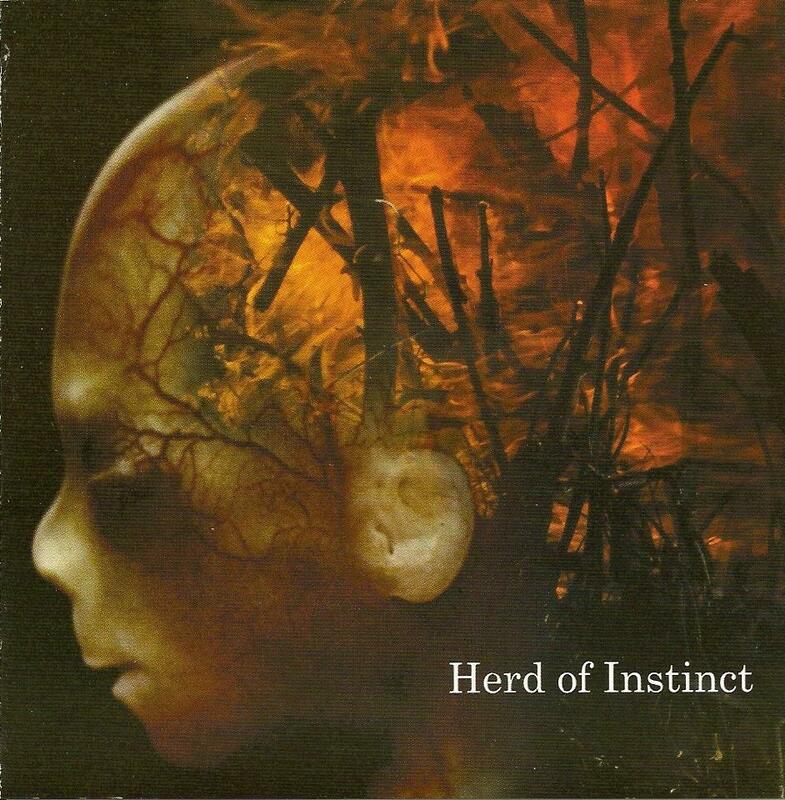 The core group of Herd Of Instinct is Mark Cook, Mike Davison and Jason Spradlin, but there are plenty of guest musicians on a variety of instruments making appearance on the album as well. This intro is symphonic doom, and the first proper tune Room Without Shadows follows suit. This is very heavy instrumental doom-prog/metal, but they're not too concerned with building on one particular theme within a track as they zip around prog-wise to various different riffs and passages... nice guitar-synth on this track as well. The album has a clean pro-studio production and mix. Cool flute/synth passage in Road To Asheville. I didn't care for the main bass riff on Blood Sky, but it's still a stand-out track as it features a nice vocal from Kris Swenson (the only vocal on the album) and also includes Gayle Ellett from Djam Karet guesting on mellotron. Lots of effects on Anamnesis. Possession has a trippy vocal effect from Kris and closes with some raunchy guitar noise. S. Karma has some more of that guitar-synth and some other fairly bizarre passages, sounds like there's some violin too, while the piece still manages to return to the main riff quite a bit... all this in just under five minutes! This album doesn't quite float my boat, but it's solid prog leaning towards the metal end that I'm sure some people will dig. They delve into a number of different styles within the prog realm but maintain a cohesive one of their own.